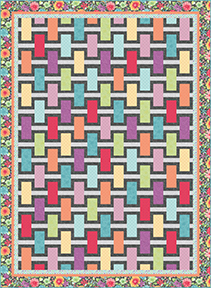 The votes have been counted, and we're down to just two quilts in our Fan Favorite Quilt Pattern bracket! Thank you to everyone who has played along! 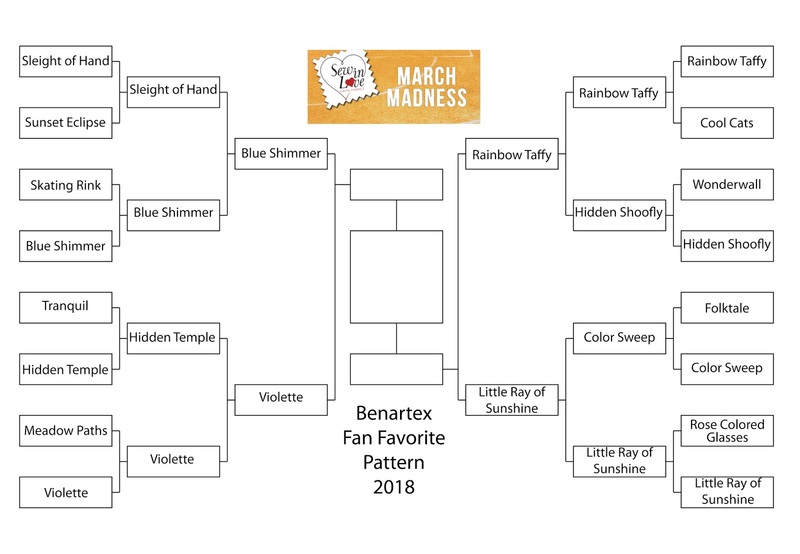 Make sure you vote in the Championship Game! 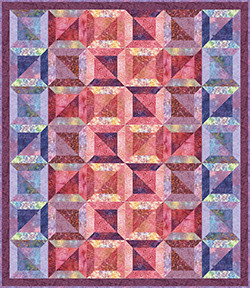 Today you also have a chance to win the fabric to make the quilt top for one of our two competing quilts! 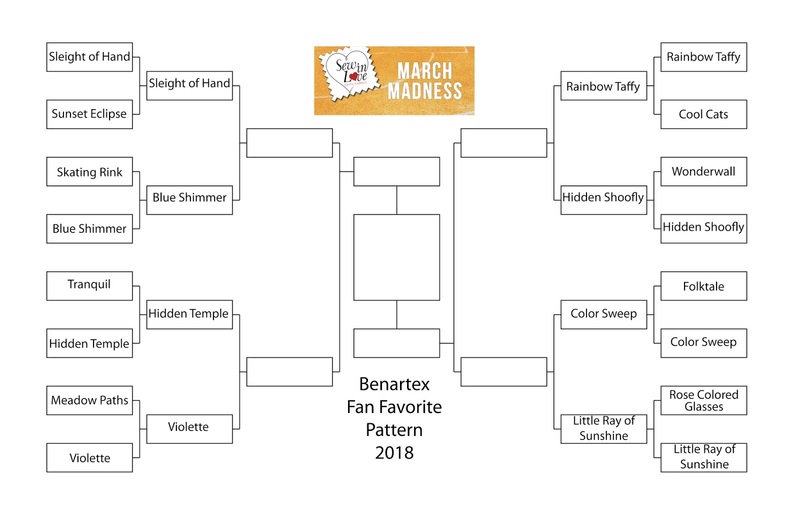 Voting for this game has ended. 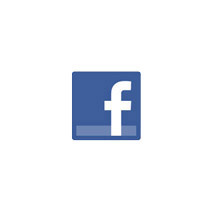 After you've voted, email us at socialmedia23 (at) gmail.com with Championship Game in the subject line. 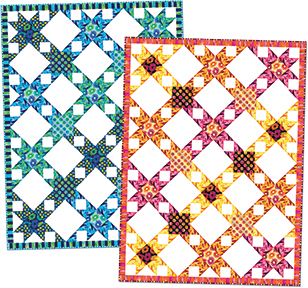 In the email, include your name, address, and quilt kit preference. 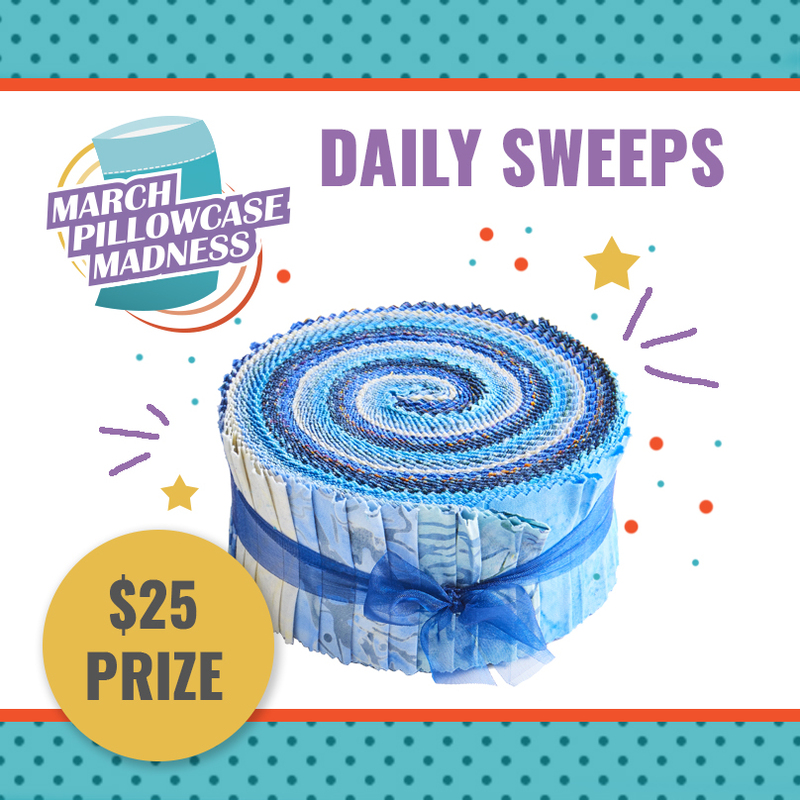 On Monday after the voting closes, we'll randomly select one lucky voter. 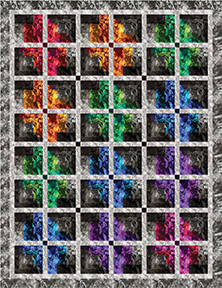 That person will receive the fabric to make either the Violette or Rainbow Taffy quilt top (their choice). 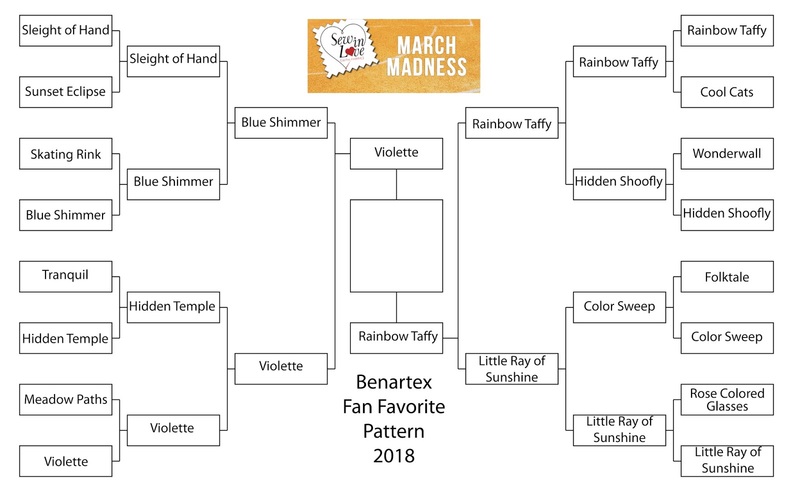 Leave a comment below with your Championship Game vote (choose Violette or Rainbow Taffy ). 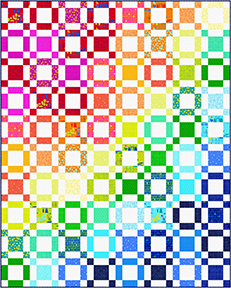 One comment per person, please. 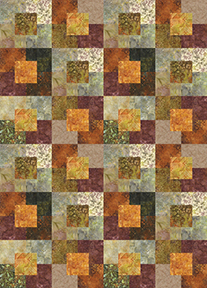 You can also vote a second time on our Facebook Group – Sew Interesting, and Instagram as well. 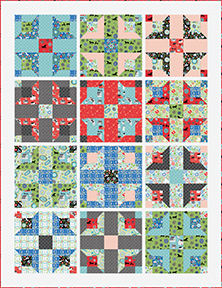 Don't forget to email us for a chance to win a kit to make one of these quilts! 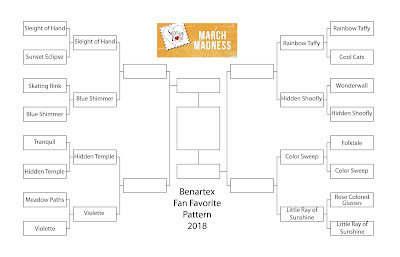 Voting for this game is open through Monday, April 2nd at 11:59 am EDT. 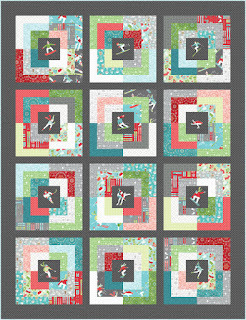 Watch for the announcement about the winning quilt! This is getting exciting! 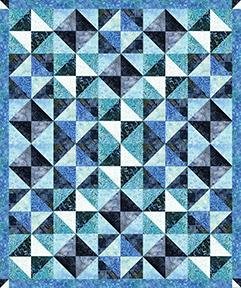 Help choose which of these two quilts will be in the Championship game in our Fan Favorite Quilt Bracket. We have one game today; you can vote by leaving a comment below. 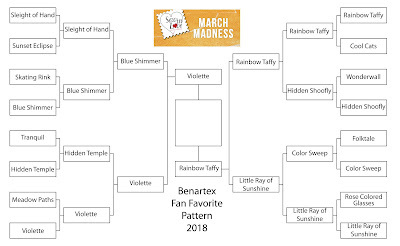 Leave a comment below with your vote on the second Final Four Game (choose Rainbow Taffy or Little Ray of Sunshine). One comment per person, please. 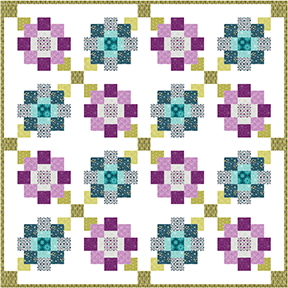 You can also vote a second time on our Facebook Group – Sew Interesting. Voting for these two games is open through Friday, March 30 at 11:59 am EDT. 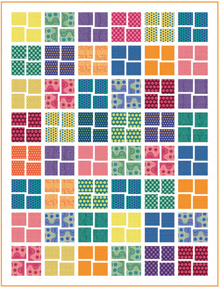 American Patchwork & Quilting is hosting 1 Million Pillowcase March Madness all month long! Today the giveaway is a pinwheel of our fabric! Blue lovers, make sure you enter! 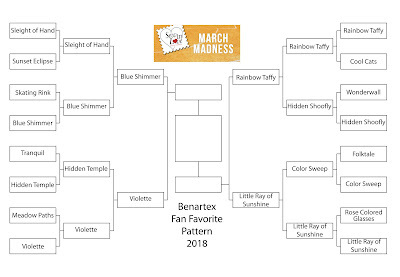 Thanks so much to everyone who voted in our Sweet Sixteen! 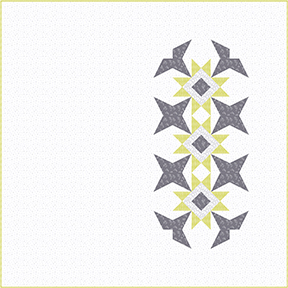 With so many beautiful designs, the choices have been tough, and it won't get any easier! 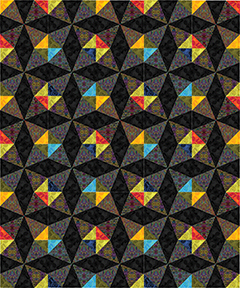 Congratulations to the quilt patterns that made it to the Elite Eight! 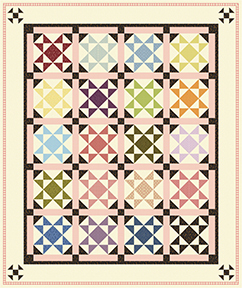 Don't forget to download your favorite free quilt patterns. Voting in Elite Eight games starts on Monday.